Lugged body, double eccentric disc, adjustable stuffing box, anti-static device, fire safe, blow-out proof stem. 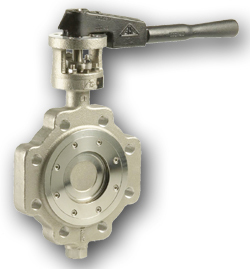 Butterfly valve of high performance with bidirectional seats for all the pressure range. Face to face API 609 cat.B.